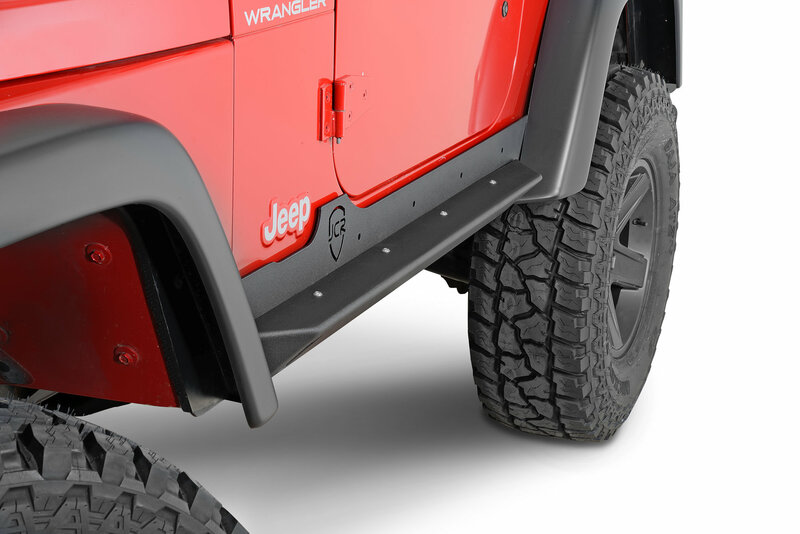 JcrOffroads Crusader Rock Sliders are designed as a mini boat side style slider that is stronger and provides higher ground clearance than the traditional angle steel tube slider. The two piece design allows for easy installation, and works as a convenient step on a lifted Wrangler. Fully tub mounted slider, with maximum under-body coverage. Interior side bracing brackets included. These are awesome rock sliders. I liked these so much, I bought their vanguard front bumper, rear bumper and tire carrier with hilift jack mount. JCR Offroad makes great stuff. pricey but very good quality. I have been very happy with the purchase and would purchase again.